Denims are one of the most basic pieces of cloth that everyone owns. When you are lazy or in doubt, just throw on a pair of jeans and a denim jacket and you would look effortlessly stylish. It is versatile and comes in different fits and designs to cater to your comfort and always keep you trendy. They never go out of style. Skinny Jeans fit tight on your body and accentuates your curves. They are one of the most popular denim styles that most women have as their go-to piece. You can wear them with almost every everything from tops to Kurtis.Versatility and effortlessness at its best. Dresses are comfortable and you can toss them on anytime, anywhere. Denim adds a chic factor to them. Try a shift or a button down dress for a casual, easy going look. Pair them up with sneakers or gladiator sandals. The ’70s have definitely had an impact on trends this year. Culottes are the perfect example of ’70s comeback. They can be everything from super casual to semi-formal. You could pair them up with a bodysuit and heels for a party look or with a crisp shirt for a more formal look. Another comeback this year are oversized denim jackets. These are going to be the outerwear of the year. You can throw them on over a summer dress or a pair of leggings and look fabulous either way. Embroidered patch denim jackets are also a craze this year! With athleisure rocking the fashion world, slouchy fitting denim joggers can never go wrong. Joggers are perfect for a street-wise look. Style them with t-shirts and throw a jacket on or just tie them around your waist for a raw, edgy look. Embroidered patches are a great way to make your outfit pop out in the crowd. Its simple yet chic and makes you look effortlessly stylish. Rose and bird embroideries are one of the most common designs. Go for neutral denim shades with bright patches to take your basics a notch up. The older, the battered the denim; the better it gets. Ripped jeans are one such that never gets old or too much. It’s stylish and reveals just the right amount of skin as well. These are also extremely versatile and can be paired with whatever you want. Button down skirts are girly and perfect for summers. The key to styling a denim skirt is keeping it simple and letting the skirt steal the spotlight. You could wear plain tees, bodysuits or shirts with button down skirts and pair them up with thigh high boots or gladiator sandals. High waisted pants or skirts make your waist look slimmer and tucks the belly in. It also gives you an hourglass curve. So, high waisted denims are always in. Style them with crop tops or a shirt half tucked. Boots and pointed toe heels are great to pair with high waisted denims. Anything out of your boyfriend’s closet is really cosy. Boyfriend jeans, though not out of his closet, are the most comfortable jeans there could be. It’s loose, casual and also in fashion. You could wear them with t-shirts, sweaters or shirts. 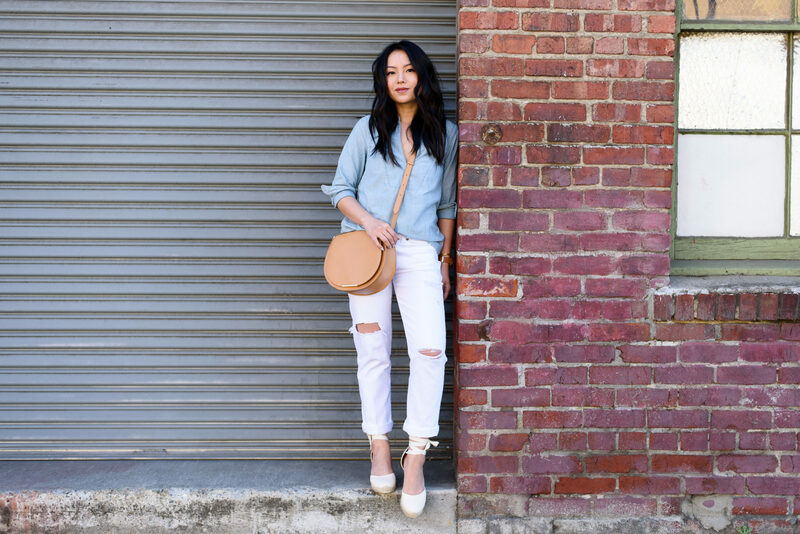 Ripped boyfriend jeans are also a genius upgrade your closet. Talking of comebacks, how could we miss the flared jeans! Yes, the bell bottoms are back. These are simply comfortable and hug your hips just right giving it a perfectly shaped look. Flared jeans look great with t-shirts or shirts and you could also style a boho outfit around these. Now, go find your perfect denim style and flaunt them. Also, if you are a true denim hoarder, here’s something you must read- Things you will relate to if you are a true denim hoarder. I’m a 19 year old fashion ehthusiast. Physicist by day and an artist by night.